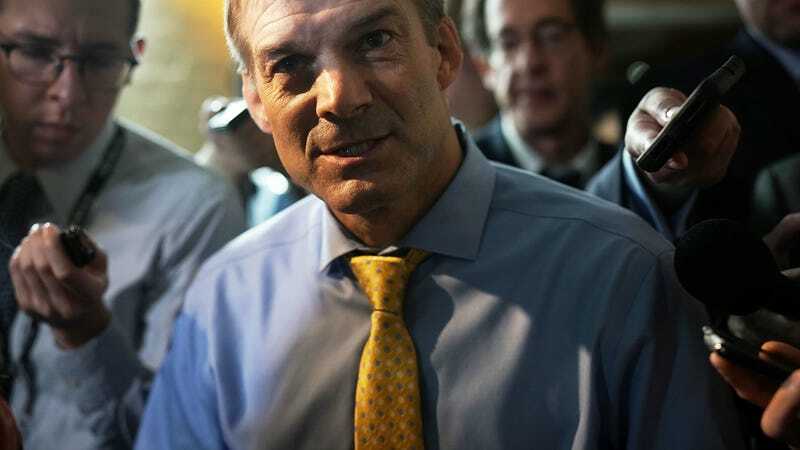 More former Ohio State wrestlers and coaches are speaking out about the culture of the team when they were on it with Rep. Jim Jordan, an assistant coach there from 1986 to 1994. On Thursday, a fifth ex-wrestler, former UFC heavyweight champion Mark Coleman, told the Wall Street Journal that there was no way the Ohio Republican and Freedom Caucus member didn’t know about the sexual abuse being done to athletes by the team doctor, the late Richard Strauss. Today, Politico published a report that described the entire wrestling program as toxic. Politico eventually gets to if Jordan knew what multiple wrestlers now have said—that Strauss would molest them during appointments. One flat-out said that Jordan didn’t know, two others say that they believed that Jordan was aware of “inappropriate behavior” but didn’t know specifically about abuse. Dunyasha Yetts, one of the first wrestlers to speak out, insists in the report that he told Jordan and the head coach about it but ultimately nothing was done. Have something you think we should know about Jordan or Ohio State? Email us at tips@deadspin.com or use our SecureDrop system.